The FINNOWATER Action Group intends to explore, develop and implement new approaches to increase financial flows in the water (and water-related) sector, particularly by incentivizing public innovation (Pre-Commercial Procurement PCP, and Public Procurement of Innovative Solutions PPI) of new technologies and services as well as other innovative financial tools and mechanisms. The FINNOWATER Action Group will be primarily focused on the Initial Action 3:â€Frameworks and instruments to stimulate public sector innovation in the priority areas identified by the EIP, based on a review of public procurement best practices in relevant sectors of industry in Europe and other OECD countriesâ€ of the Financing for Innovation priority within the Strategic Implementation Plan (SIP) of the EIP on Water. 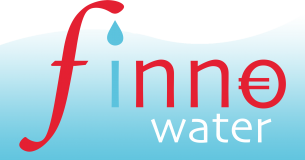 The overall objective of FINNOWATER is to identify, to analyze and to give recommendations on innovative tools to remove the barriers that hamper the existing demand and offer cycle for a wide range of water technologies and services as identified by the priorities of work of the EIP on Water, as well as the conditions (legal, financial, procedural, institutional, etc.) which may spur this market process. This analysis will be also carried out in the light of legislative developments at EU level and most notably with regard to the result of the ongoing negotiation on the proposal for an EU Directive on procurement by entities operating in the water, energy, transport and postal services sectors. The expected result from the FINNOWATER Action Group is to become a consolidated platform which can give advice to policy-makers, water (and other water-related sectors) technologies and services developers and companies (including SMEs) and end-users on how to promote and benefit from innovation-oriented procurement as well as other innovative financial tools and mechanisms.